Mr. Kemp's music Google Classroom. 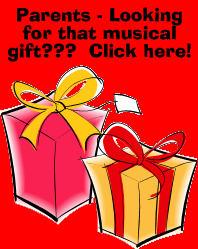 Click Here to get a head start on the SPRING Music Program Drawing Contest!!! Want to WRITE your own music?!? CLICK HERE for music staff paper!!! We focus on beautiful singing and learning how to read music. Fourth Grade is the year we join the Chorus, Band, and Orchestra. Band players - see notes from Mr. Kemp- click here! Orchestra players - see notes from Mr. Kemp - click here! for the Spring Concert. CLICK HERE for information about the Spring Concert. chorus songs at home. All our chorus songs are ready! know if that person is you! The whole school will also sing America, the Beautiful. Something for later in the year: CLICK HERE to listen to Hey Ho, Nobody Home! supervision - especially for the first time. ASK YOUR PARENTS FOR HELP!!! CLICK HERE if you still want to listen to or sing the Winter Concert Songs.